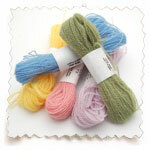 Appleton’s Crewel Wool is a very fine 2 ply, loosely twisted wool yarn in 25m skeins. Suitable for all types of stitching, including crewel and wool embroidery, tapestry, quilting, appliqué, sewing and many other techniques and crafts. Its perfect for making tiny crochet flowers as the wool is so soft and fine. 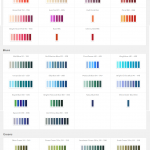 Click below for a colour chart. If the image loads small, try clicking on it again for a larger view! Be the first to review “Appleton’s Crewel Wool” Click here to cancel reply.